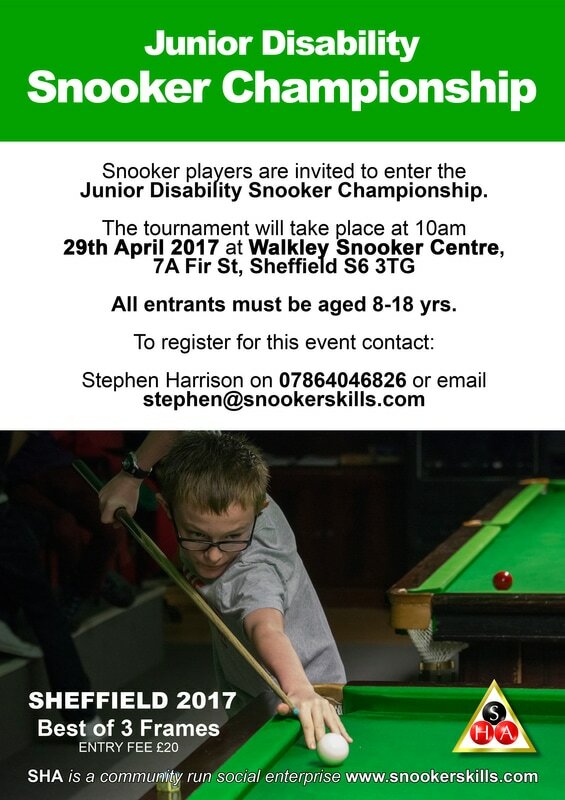 I am so, so grateful that my son, James has been able to attend the Stephen Harrison special needs snooker sessions over the last 6/7 years. 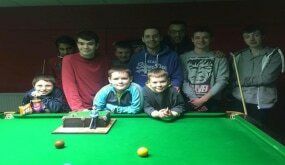 Playing snooker has helped him learn about persistence, focus and concentration. Keeping score helps with maths. It has improved his hand-eye co-ordination. And going to snooker on Saturdays was his first experience of spending time away from his family, apart from school. Earlier this year, he even appeared on BBC Look North talking about the snooker club. All-in-all, it’s had a big impact on his independence, confidence and maturity. And, in turn, I’ve really appreciated having that time at the weekends to give me a bit of a break. The club has such a lovely atmosphere. It’s a calm environment but full of fun too. The staff are so friendly and encouraging. You feel like you’re part of a big, extended family. This is all down to Steve Harrison himself – such an inspirational man, with a huge passion for the sport and in particular, for increasing access to the game for people with disabilities. Since then, he has continued to attend as a volunteer, helping with various jobs such as cleaning the tables. This has also had another positive impact – James has been able to include this on his CV when applying for jobs, he can talk about snooker at interviews and Steve has kindly agreed to provide a reference for him. Very recently, James has accepted a part-time, temporary job at John Lewis. I firmly believe that attending the snooker sessions were a vital part of his journey to getting this job. 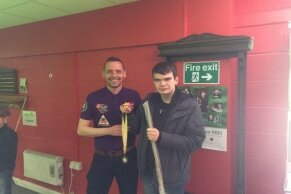 I cannot praise Steve and the snooker club highly enough for the huge impact it has had on James’ life and on mine too. I am sure many, many other families will feel the same.